Dalmatia®'s original fig recipe receives a chocolatey kick! As firm supporters of good farming practices, Dalmatia® only uses fair trade cocoa into their recipe – meaning the product was farmed, produced, and sold at a fair price. 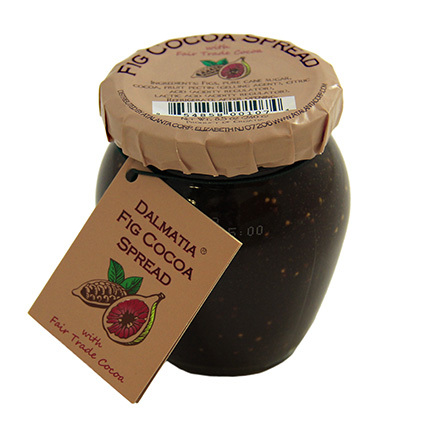 Previously fiCoCo, the new Fig Cocoa is the same great recipe, same UPC code, but in the Dalmatia® significant jar.